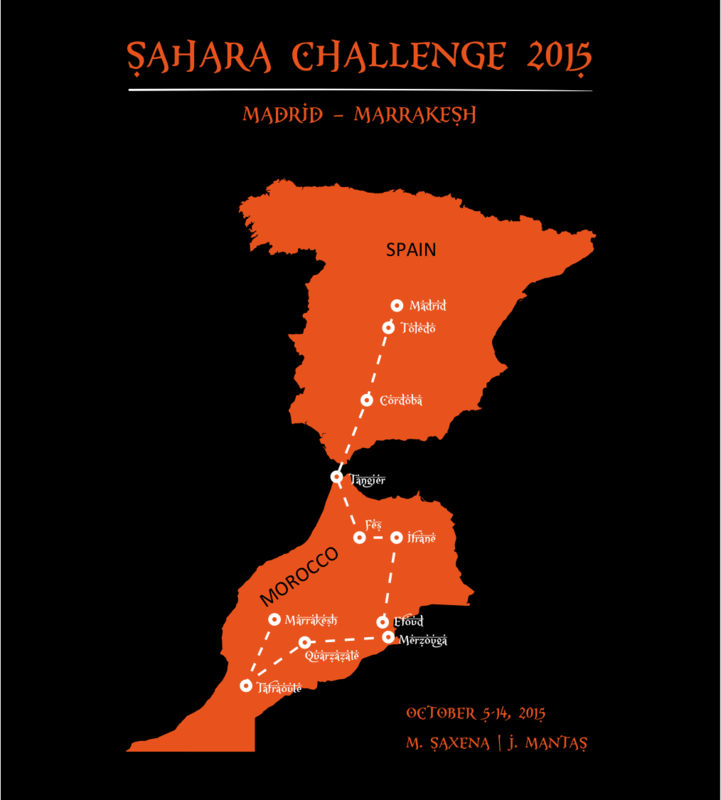 Having completed the epic 24-day Singapore to Burma race, we are now participating in our next challenge — The Sahara Challenge. 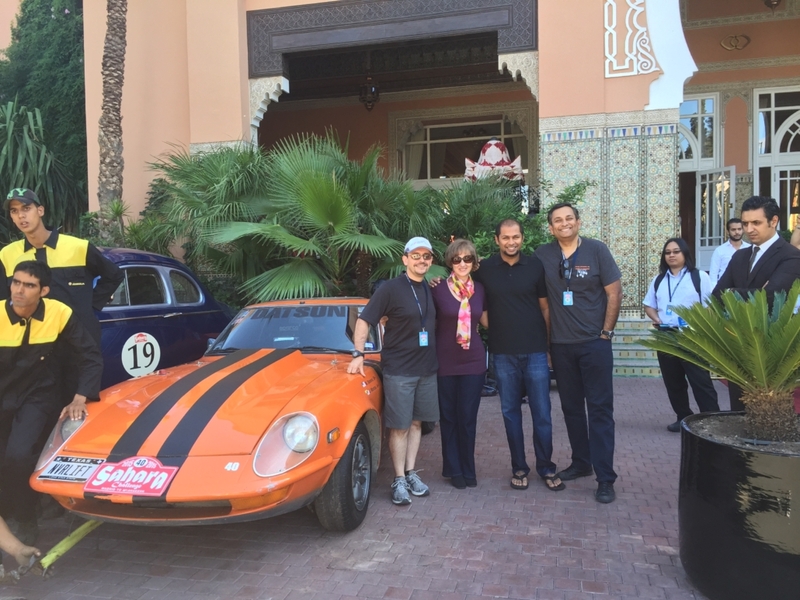 This ten day event will include 50 rally-prepped classic cars that are racing from Madrid to Marrakesh in October 4-14, 2015. 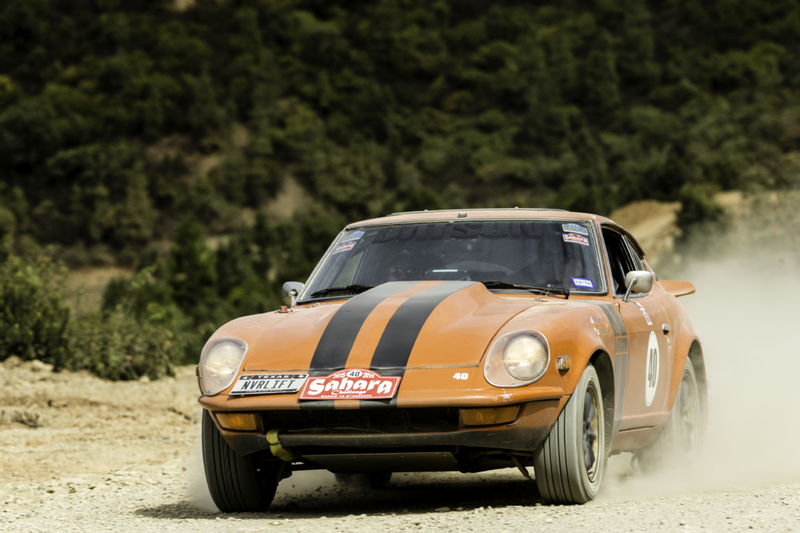 From Madrid, the 50 cars will strike out south into the lonely roads of Castilla La Mancha. Stopping for the night in the ancient Moorish city of Cordoba, the next morning sees us taking to the hills of Andalucia before we catch the afternoon ferry across the Strait of Gibraltar to Tangier and our first experience of the flavors, sights and sounds of the Maghreb. Once into Morocco, we will drive through unforgettable open spaces on truly empty roads that unravel over distant horizons. Along the way, we take in the best the country has to offer – from the ancient kasbahs and medinas of market towns like Fez to the Alpine-like mountains around Ifrane, then on through spectacular hidden canyons like the Todra Gorge – where Indiana Jones galloped on horseback. 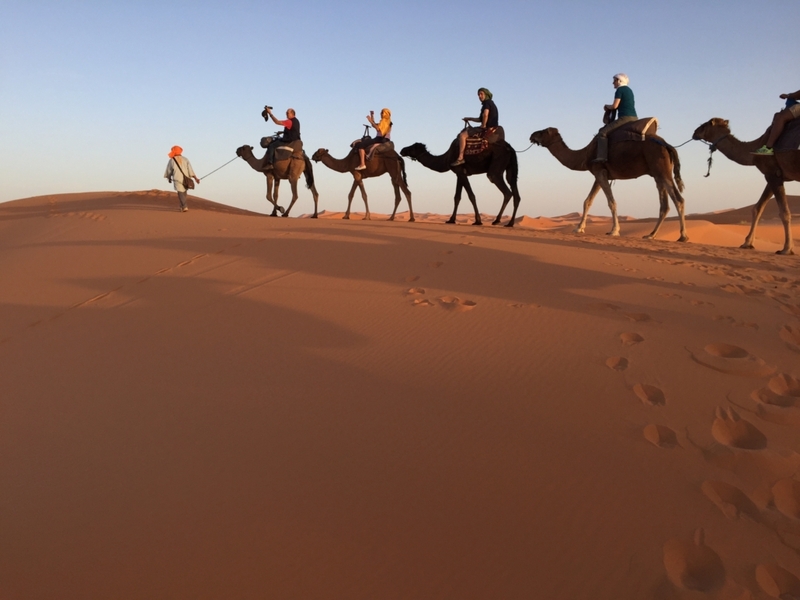 We then take in the quiet grandeur of the Erg Chebbi dunes, before reaching our destination in Marrakesh, that trendiest and most talked about Moroccan destination since the Sixties. Following advice from our Spanish friends and after our initial route survey, we have decided to move the start of the event to the fabulous medieval city of Toledo. 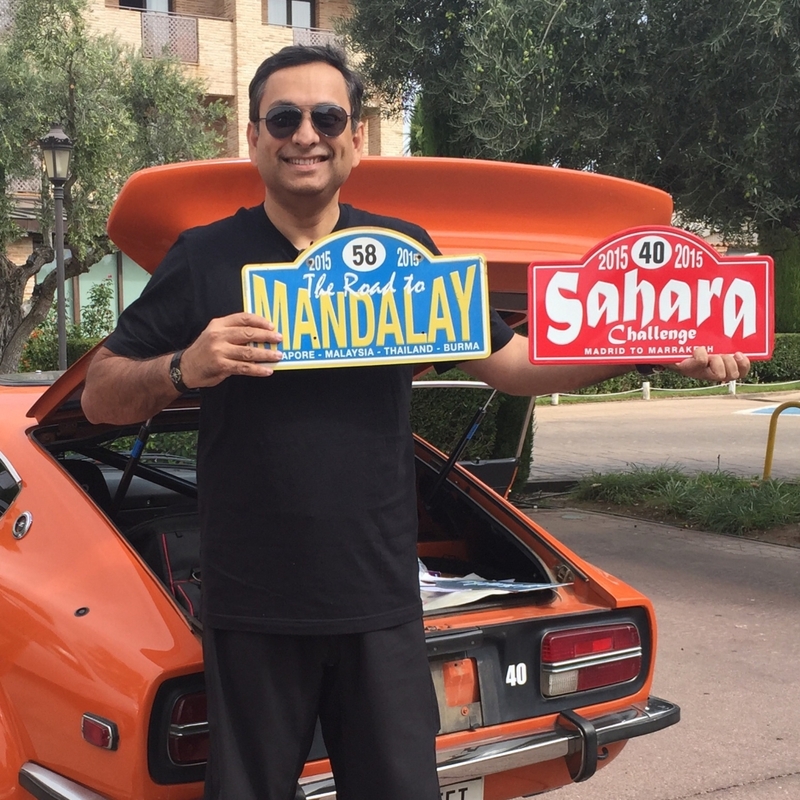 This is a short motorway run of just over an hour from Madrid and we are arranging a car collection point close to Madrid Airport for those who prefer to fly in and have their car transported to the start. Declared a UNESCO World Heritage Site in 1986 for its extensive cultural and monumental heritage, Toledo is an ideal start location. Our base is at the luxurious Parador, located on The Emperor’s Hill and affording wonderful views of this beautiful city. From Toledo, we strike out south into the lonely roads of Castilla – La Mancha as we make for the Montes de Toledo for the first competitive action of the event. We then pass the mighty Extramaduran Embalses – reservoirs – on fast roads before the day’s action ends with some testing roads in the Cordoban Sierra. Our home for the first night will be another very comfortable and evocative “Parador on a Hill” – this one overlooking the ancient Moorish city of Cordoba. Leaving Cordoba, we quickly get some miles under our belts before taking to the hills of Andalucia for some exciting mountain climbs and fine vistas dotted with the characteristic Pueblos Blancos – white villages. Our destination for this half day’s run is the ferry from Algeciras and an afternoon sailing across the Strait of Gibraltar to Tangier and our first experience of the flavours, sights and sounds of the Maghreb. We stay the night in one of Morocco’s luxurious coastal resort hotels on the Malabata Coast, just north of the city. 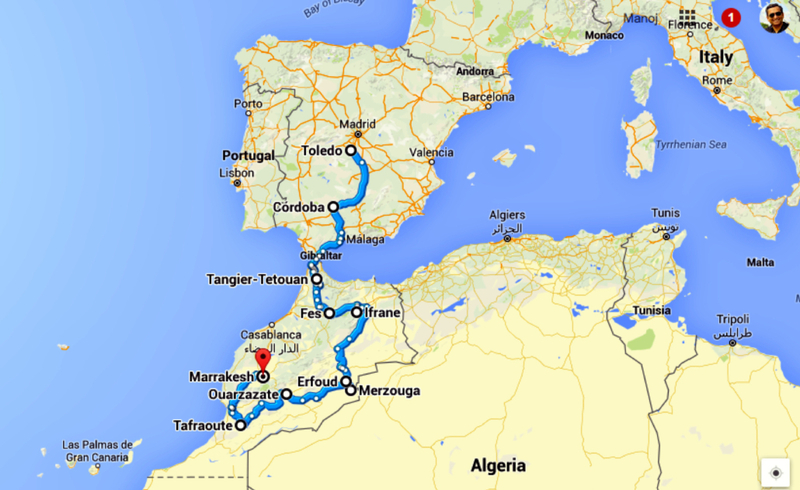 Forsaking the lure of the Mediterranean coast, we push inland as we begin our journey south to the Sahara. This will be a relatively short day with a sprinkling of competitive motoring as we all get accustomed to our new surroundings and the different cultures on offer. The short drive will also allow us to get to Fes in a reasonable time to allow a visit to the world famous Medina. Our hotel, the 5* Palais Medina, is a short taxi ride away from this labyrinthine cultural adventure. From Fes, we head east to explore the cedar forested Parc National de Tazekka and the Massif de Tichchoukt – regions that will be largely new to people who have driven this way before. Certainly they are places that we have rarely visited on previous ERA events. We will enjoy quiet tarmac roads with the odd gravel section thrown in that are full of diversity and interest. One minute, you would swear you were on the testing Monte Carlo Rally roads of the Ardeche but half an hour later you could be mistaken for thinking you were driving through the wide vistas of Montana in the States. So there should be something for everyone on this variety packed day. Our destination – Ifrane is quite unlike anywhere else in Morocco, more akin to an Alpine resort than the surroundings we have become accustomed to. Our home for the night is the fabulous Michlifen Hotel – simply one of the finest hotels in Morocco following a complete multi-year rebuild since the last time an ERA event came this way. 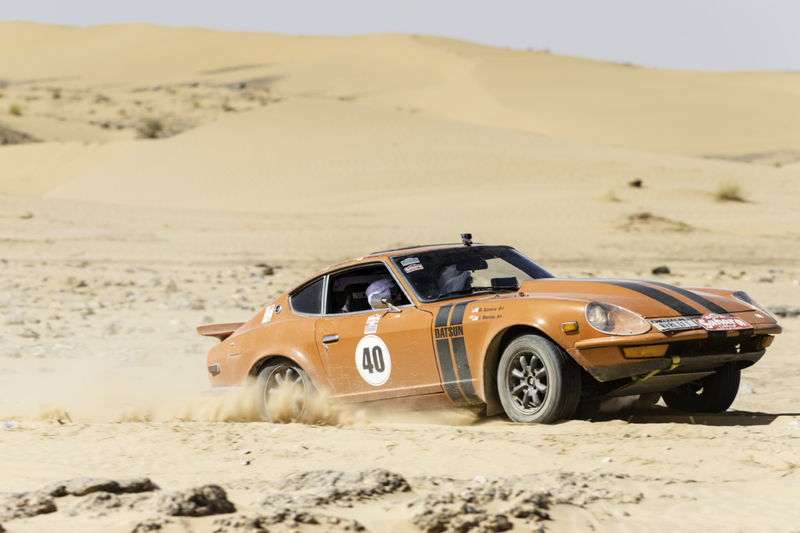 Suitably pampered, we set out on the longest drive of the event as we head south to the Sahara. For the crews using this event as a Peking to Paris shakedown, this will be good preparation for the longer days that are to be expected on that epic adventure. Leaving Ifrane, we are quickly into the competitive motoring as we wend our way through the Cedar Forests of the high plateau towards Khenifra and then on into the mountains of the High Atlas. 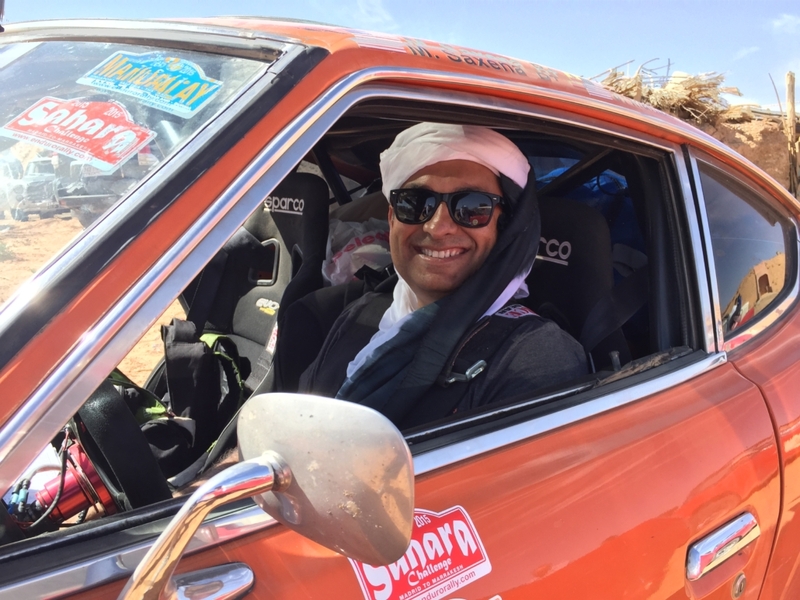 We eventually emerge from the hills in the remote staging post of Rich and from there take the flowing main roads to Erfoud – the “Door to the Desert”, where we stay the night in a fine Kasbah-style resort on the edge of town. 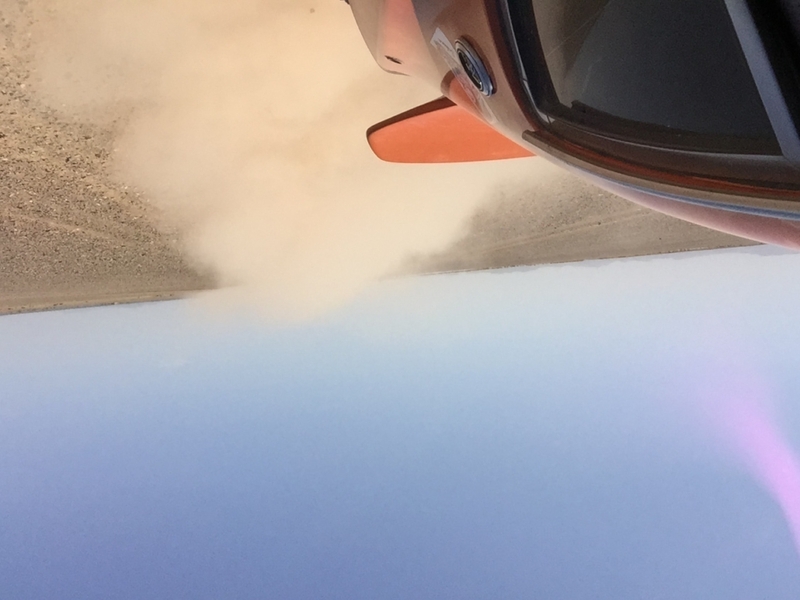 After the long day from Ifrane, we enjoy a much later start for a short but action packed desert day to the edges of the Sahara with four dramatic tests in the shadow of the mighty Erg Chebbi dunes. The first test is followed by an exotic Palmerie lunch break at Tissardmine before the action really gets going with the Derriere des Dunes test including some unavoidable soft sand patches to test the particpants mettle. 4x4s will be on standby to help any crews unfortunate enough to become stuck. 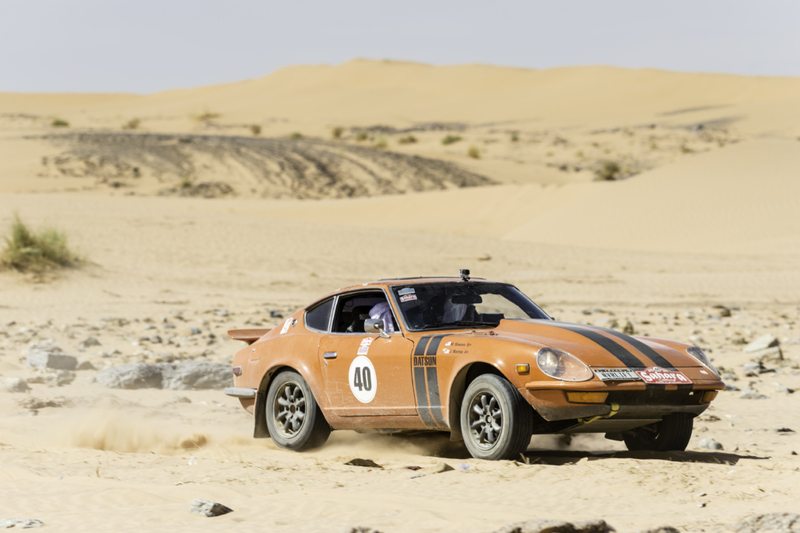 A visit to an extraordinary car museum and a couple more desert tests round out the day’s rallying before we reach the very special overnight halt at our Erg Chebbi desert camp. 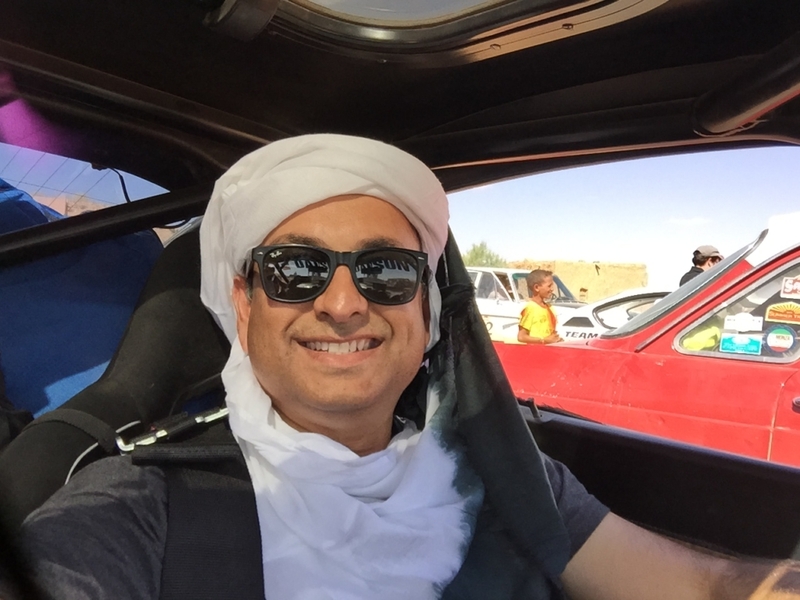 There should just about be time for a camel ride or even some quad bike driving for the motoring addicts before dinner under starlit skies. We know the campfire chatter is going to be animated tonight. 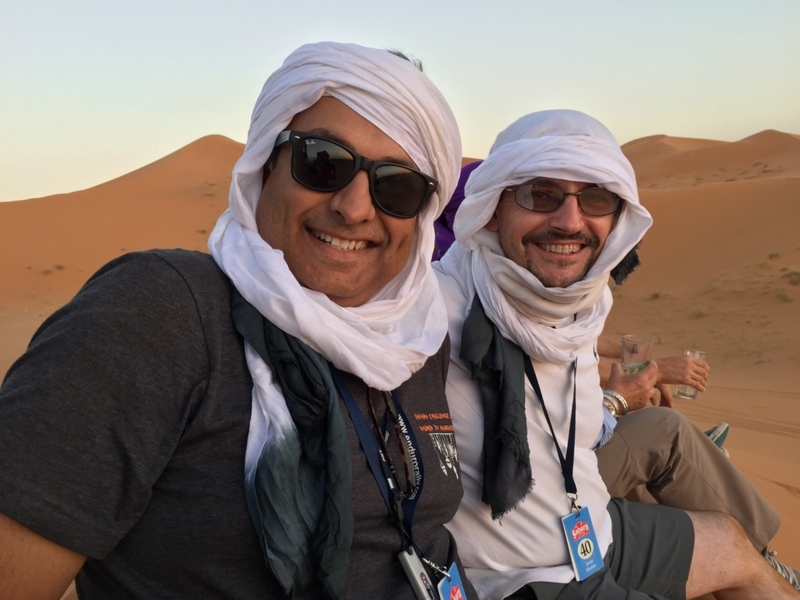 The day should be a fantastic experience on its own and what better introduction to desert driving and camping for those preparing for Mongolia on next year’s Peking to Paris….. although tonight it will be more like ‘glamping’ as crews don’t have to pitch their own tents on this event. An early morning test section should provide the necessary wake-up call before a long run west on good roads through some spectacular desert vistas. We are heading off the regular tourist trail and making for a little explored area of Morocco – the Anti-Atlas Mountains around Tafraoute. Our route winds its way into the hills on good tarmac roads with many a photo opportunity on the way and one or two timed sections for us to enjoy. On arrival to Tafraoute – the almond capital of Morocco, we take a detour to visit the unique Pierres Peintes – painted rocks, one of the area’s must-see attractions. Our overnight hotel is a bit more rustic than some of our previous stays but is the “best place in town” and the perfect spot to enjoy the tranquillity of this mountain oasis with the setting sun providing an atmospheric backdrop as it lights the surrounding hills in a riot of colour. 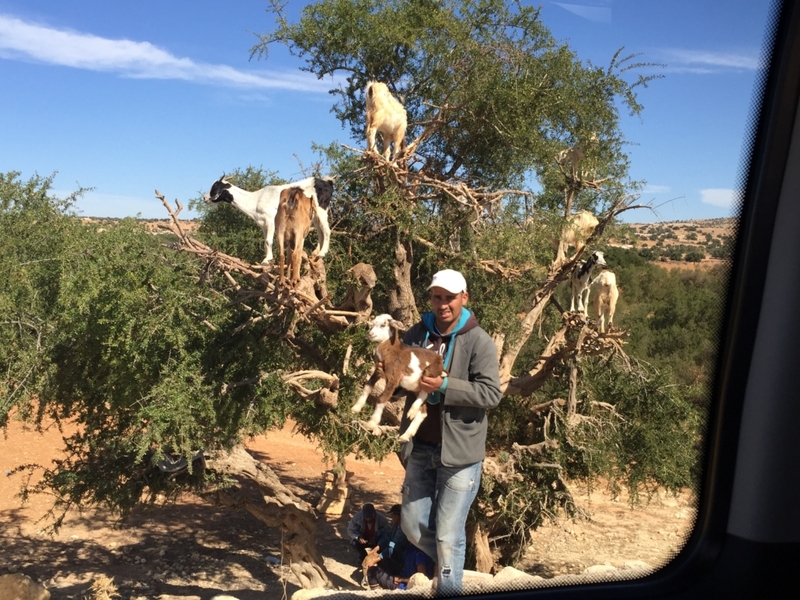 Leaving Tafraoute, it is straight into the action as we head north through the Anti-Atlas via a series of testing climbs and descents on empty roads with only the occasional herd of goats to slow progress. 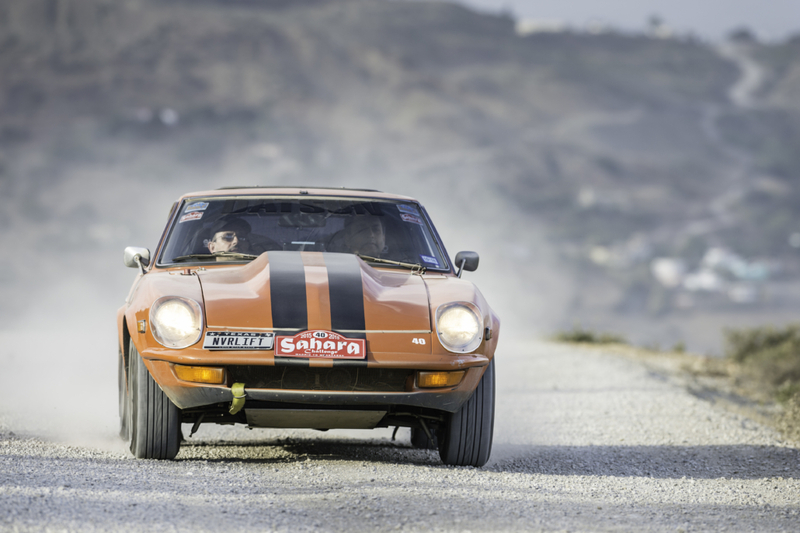 This is the Morocco of old… and should provide a few hours of pleasurable motoring to start the day. We then cross the plains of the Tifnout Valley before taking to the hills again for further sections through the Western Atlas mountains en route to Marrakesh – that most evocative of Morroccan destinations since the Sixties. Our hotel for the next two nights is the luxurious Sofitel located in the pleasant Hivernage district, just a stone’s throw from the main action. Encircled by salmon-pink ramparts, the heart of Marrakesh is a heady mix of mysterious labyrinthine medina, hidden palaces and atmospheric bazaars virtually unchanged since the Middle Ages. At its centre is the Djemaa al Fna, where you can wander amid the hustle and bustle of the world’s most exuberant marketplace. Rounding off the event, we enjoy a short half day of competition in the mountains south of Marrakesh before returning for the grand finish and evening Gala Prizegiving. 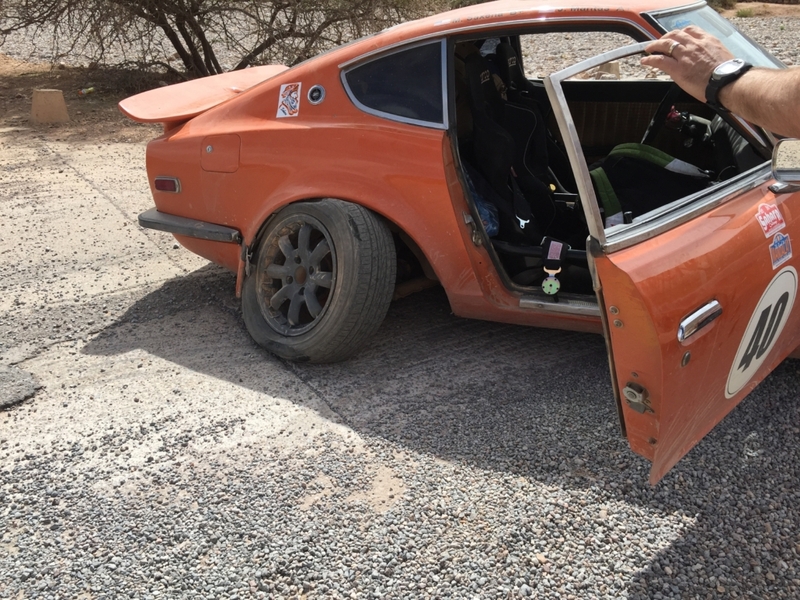 We start the action before even leaving the city limits with a couple of laps around the local race circuit followed by an easy run along the Ourika Valley and on to a “sting in the tail” with a string of fabulous tarmac roads that wend their way through the Toubkal Mountains to Asni.